Home » Collection » Design from Gray, Maine 1800 (no. 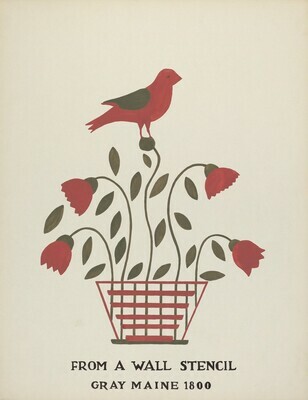 2): From Proposed Portfolio "Maine Wall Stencils"
Design from Gray, Maine 1800 (no. 2): From Proposed Portfolio "Maine Wall Stencils"